﻿ SeaVilla Mauritius Pulau Mauritius. JIMAT di Agoda.com! Ada soalan mengenai SeaVilla Mauritius? Ketika melawat Pulau Mauritius, anda akan merasa seperti di rumah di Sea Villa Mauritius, yang menawarkan penginapan berkualiti dan perkhidmatan hebat. Dari sini, tetamu boleh menikmati semua kemudahan yang bandar ini tawarkan. Dengan lokasi yang mudah, penginapan ini memberikan akses mudah ke tempat yang anda perlu lawati di bandar. Sea Villa Mauritius juga menawarkan banyak kemudahan untuk memperkayakan penginapan anda di Pulau Mauritius. Hotel ini menawarkan pelbagai kemudahan di lokasi untuk memuaskan hati tetamu termasuk yang arif. Masuklah ke salah satu dari 21 bilik tetamu kami dan tenangkan hati anda dengan pelbagai kemudahan seperti televisyen skrin rata, cermin, sofa, tuala, almari yang boleh didapati di beberapa bilik terpilih. Hotel ini menawarkan pelbagai kemudahan rekreasi yang sangat baik, termasuk kolam renang terbuka. Sea Villa Mauritius adalah destinasi sehenti anda bagi penginapan hotel berkualiti di Pulau Mauritius. Penginapan ini tidak mempunyai kaunter pendaftaran 24 jam. Tetamu yang tiba selepas 08:00 PM diminta untuk menghubungi pihak penginapan sebelum ketibaan supaya persiapan alternatif boleh diatur. Good hotel for this money. Just on the beach! Terrible place with unfriendly staff. This is not 3,5* hotel as written. Everything looks cheap, not normal as in pictures. You have to ask for everything - for room cleaning, for tableware, for clean towels. Boring and at least embarrassing. Exactly same poor breakfast every day, you have to ask for eggs and ended items. No meat or sausage. Brown water named coffee. Broken beach towels every day. At least bought some from market and used them. Cockroaches on rooms. Room size is wrong - it is much smaller. And last one - after cleaning lady visit on last full day we found opened suitcase, there opened secret-pocket and MISSING 140€ (2x50€ + 2x20€). Lock box was on room, but broken. Stuff said they will go to police (our plain left after some hours), but they did not. Stuff spoke french and english. But because theft and stuff disinterest (they even said, that we lie!!!) cannot recommend. Unfortunately I do not have police proof because did not get any help from Agoda too. Very very disappointed. Where do I begin? No sea view as per my booking. Instead overlooked a very bad area of block of flats. Very noisy. Not because of the area of flic and Flac but the actual hotel. Could not get a minutes rest. Bedroom air con didn’t work properly. No plates. No plates!? No complimentary water, tea or coffee. 2 cups. 2 glasses. Fridge was off and defrosted upon our arrival. Breakfast was below average and very expensive. No warm welcome from gent in the front. And not even a goodbye or THANKYOU for the stay. Nothing. We loved Mauritius but very disappointed in accommodation and don’t recommend anyone staying there. Pictures are not what it’s like at all. We stayed in a 3 bedroom seaview apartment so we could enjoy views of the beach from the lounge area and the balcony. 1 ensuite and 1 common bathroom. Very comfortable and big space. Aircon in the lounge and in every room. Swimming pool. No lift but there's only 3 floors. The ensuite is a bit small and water goes everywhere as the shower screen is too short. "Kitchenette" only has a bar fridge, microwave and kettle. No sink so we had to wash cups in the bathroom. No amenities to cook. Dishes and cutlery available from reception but it's hard to wash them in bathroom sink. All in all, a very comfortable stay but was expecting at least a proper kitchenette given that it is an apartment and doesn't lack the space. We enjoyed our stay at SeaVilla. We stayed in a Sea View unit for 2 people. You have a small patio to sit and enjoy the view of the sea through the trees. The road can be busy at times, but you get used to it. SeaVilla is right across one of the public beaches in Flic en Flac. Wide variety of local food stalls either way and about 1km from the local Spar, 20 meters from a bus stop. 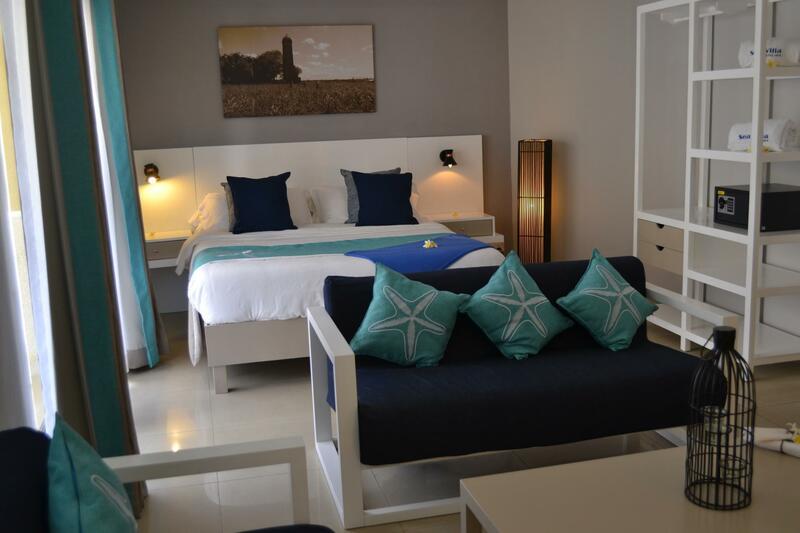 The room is very spacious with air conditioners in the living area and bedroom. You have a bar fridge, microwave, kettle and mugs available in the room. You can ask for plates and bowls if you want to eat in your room. The staff is extremely friendly and helped with a smile. We had a look at the family unit for bringing the children with, very spacious as well. Take note that the TV stations is only in French. The swimming pool were clean and enjoyed by guests. Great value for money. 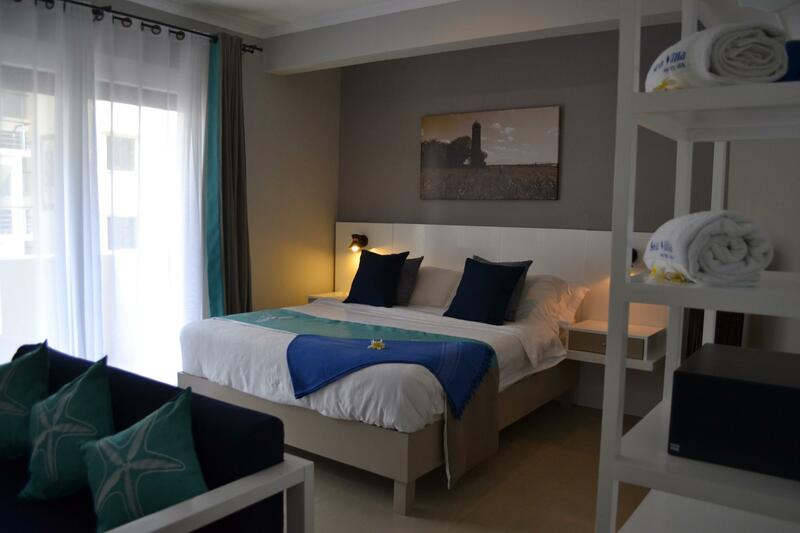 Seavilla Mauritius was in a great location, very close to the beach, restaurants and shops. We stayed here mainly for the dolphin tours, but we also used the local buses to get to Le Morne, which the staff were very helpful in providing us with the bus stop information. On the staff, they were very informative with general enquiries and were always friendly and helpful. The only negatives were the pool and some of the facilities (if we are being picky). The pool area didnt get a lot of sunlight, so we didn't use it. The facilities were good and clean, but it would be helpful if there was more kitchen appliances, such as a hob, toaster and a sink to clean cutlery. All in all seavilla Mauritius was a very good apart'hotel and we would 100% stay there again and recommend it to friends and family. The room looks 60% as in photos. The bathroom is very small and no soap for the sink. Creaky doors. You can't use the doors without making a lot of noise. I could hear also the neighbors doors. The breakfast is medium. The Wifi is not working in the rooms. It can be used only at reception. I stayed 11 nights and no wifi working. 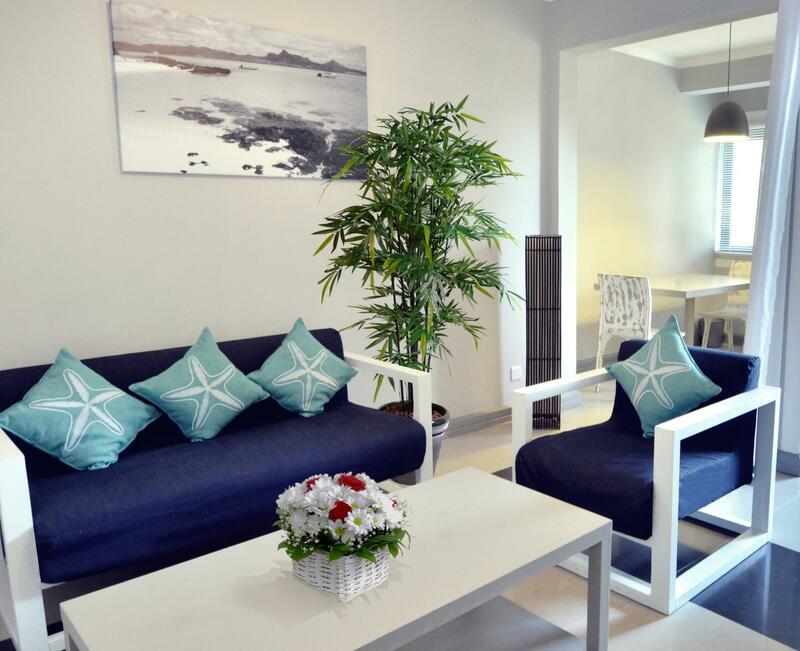 In rest, the cleaning service is very good, all staff is very very nice. As position, the villa is very good placed - near restaurants, supermarkets and also near travelling agencies. We have traveled with Mambo agency and they were great. Good prices and very nice and helpful drivers. The service from the staff was excellent. They were very helpful and forthcoming with advice and assistance. 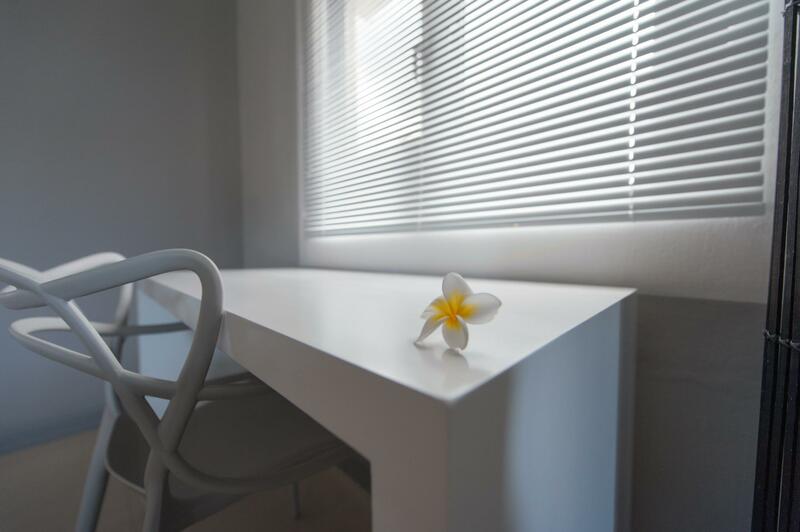 The apartment was rather comfortable and in my view it is the staff and their positive attitude that gave the establishment a homely feel. They really made us feel welcome and comfortable during our stay. I would recommend this establishment on the basis of location, comfort, amenities (kitchenette) and great staff. I will definitely be returning to Sea Villas in the near future. Dear Guest We thank you very much for your nice review. Dear Guest Many thank for your very nice review. Stayed here over new year in an immaculate pent house apartment. Only problem was there was no lift! 8 flights of stairs with all our luggage ang children wasnt ideal but the apartment was very nice with balconies front ant back where we could watch the fireworks into the early hours. Breakfast basic and a little pricey. Otherwise a nice pool and excellent location. Reception staff doesn't seemed happy, every request asked as if it was a big deal Day 1 for breakfast the chef/waiter he wasn't keen to tell us about hot breakfast option. We had only cereal & fruits. Following day breakfast, we were greeted by 2 very nice freindly ladies, nela and the waitress proposed boiled eggs or omelettes, i felt angry of how the guy didn't mentioned anything as he was busy on playing on his mobile phone, he should be sacked that slacker! Bathroom and toilets could have been much cleaner Parking outside on the beach a query The 3 bedroom was nice with 2 bathroom. Lots of credit to Nela and the waitress Dayana deserves recognition without their hospitality I would left the Property !!!! I got it at 60% off. Therefore it was a really really good deal. The internet connection was not as good. It was close to the beach and restaurants. I was pleasantly surprised. I wished the pool did not at 6 pm. The room was very good. I wished they had a kettle for tea. I would definitely recommend it. we spent 3 nights in this hotel. firstly I want to thanks again to all the staff of the sea villa. Diana made the delicious breakfast for us and the reception staff friendly show us the way to all the place we want to go. the location is quite good, the flic en flac beach is near the hotel within only 100 footsteps, we can see the people playing and swimming also taking a walk along the beach on our balcony. The bus stop is neer the hotel and you can take a bus to everywhere from here. I highly recommend this hotel to all the people now finding the place to live. This villa is very good, the beautiful sea is just cross the road.Good Location, clean accommodation，big room. also the staff performace is great. The receptionist helped us to book the tourism packages also postponed the check out time for us~ Very lovely. This disadventage is that you can only use WIFI in public area. If I go to Mauritius again, I will definetly stay this hotel again! Lights were very dim. Had to complain to get another room cos the one allocated was not up to standard. Rooms are very plain with no decor or atmosphere. Desk clerk Akash went out of his way to attend to our complaints, although there was only so much that he could do. Hot water and water pressure were at times an issue. The villa is in a prime location and the staff is very helpful and caring.